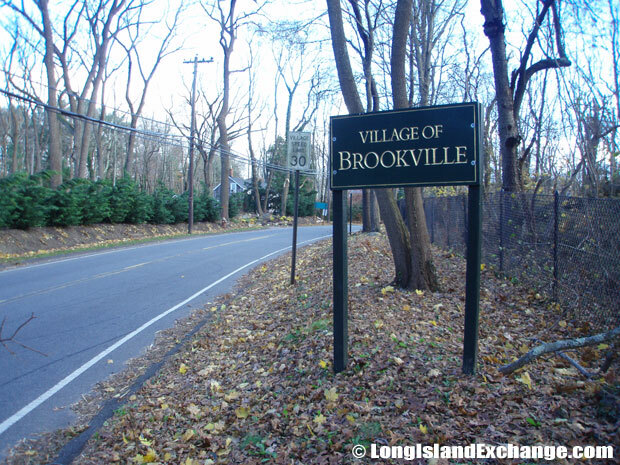 Brookville is a highly affluent village located in Nassau County, on the North Shore of Long Island, New York. It is inside the Town of Oyster Bay and a part of the North Shore School District. In 2009 BusinessWeek named Brookville as the wealthiest town in America. As of the 2010 census, there were 3,465 people residing in the area. The median income in the village was $328,404, and the average net worth $1,670,075. The village, about 25 miles from midtown Manhattan, is home to Jennifer Lopez and other millionaires who enjoy privacy. The latitude of Brookville is 40.813N. The longitude is -73.567W. It is in the Eastern Standard time zone. Elevation is 236 feet. In Old Brookville, 82% of commuters drive to work. A sign welcomes visitors and residents to the highly affluent village of Brookville. In 2009 BusinessWeek named Brookville as the wealthiest town in America. Looking into the Tam O’Shanter Golf Club, from Fruitledge Road. 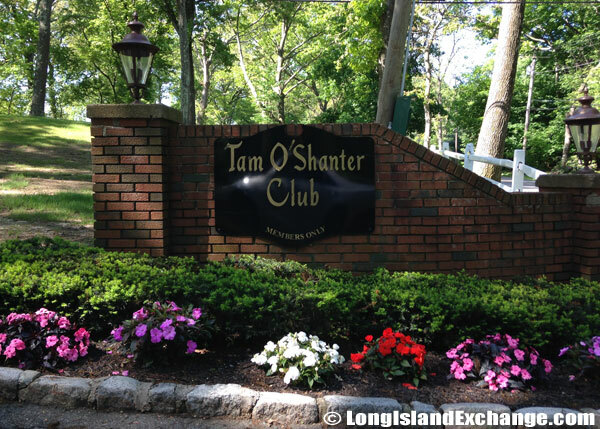 Tam O’Shanter Golf Club, a 18-hole golf course and club with facilities for golfers of all skill levels. An early industry of the village was the breeding of horses for trolleys and delivery wagons in New York City. 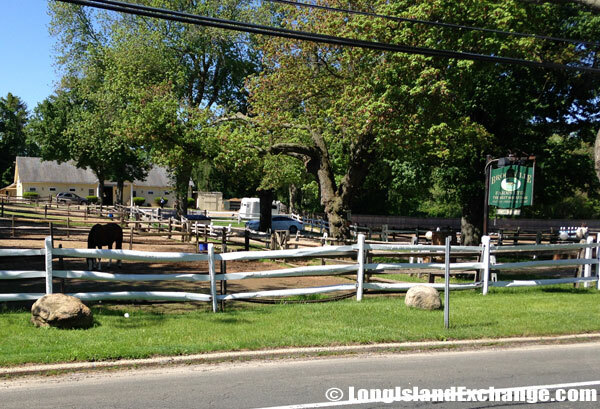 The village also has a bird sanctuary and horse farms as well as a nature park with trails and walking tracks. 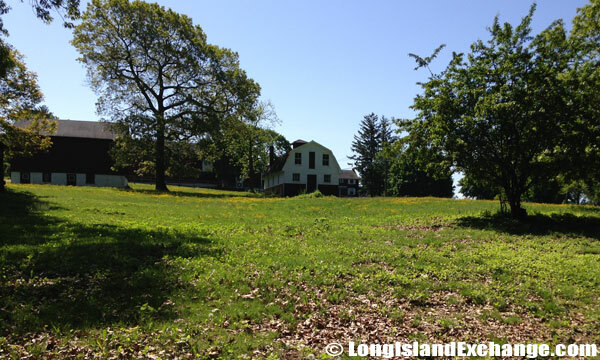 Speaking of modern industry, the Old Brookville Vineyards is the only commercial wine concern in Nassau County. One of their products was considered the best in vineyard’s history and is the second to be produced following the establishment of Long Island as an official American Viticultural Area (AVA) by the Federal Bureau of Alcohol, Tobacco and Firearms (ATF). 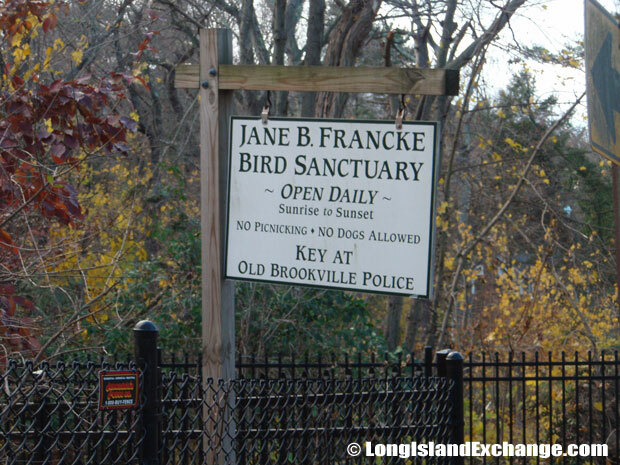 The Jane B. Francke Sanctuary, a 3.8 acre bird sanctuary owned by the Village of Brookville and maintained by the members of the North Country Garden Club of Long Island. Inside the Tam O’Shanter Golf Club. A private farm home with farm house off of Fruitledge Road. In the village, most people are in a middle-class level and the people of Brookville are fortunate that few suffer poverty. Many elegant and luxurious homes are within the village. Prices ranges from $1.4 million to more than $5 million and vary from modest to tremendous in size. College degrees are common in this villages average resident. 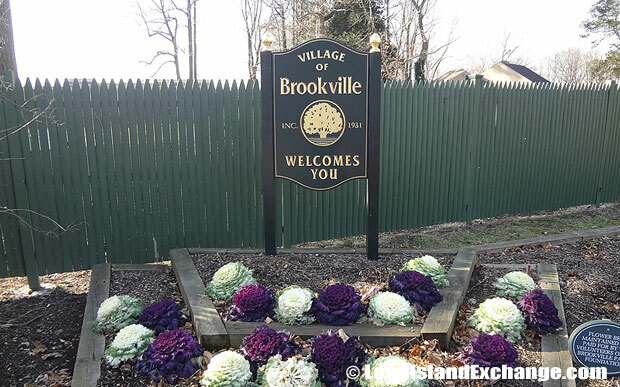 A sign welcomes visitors and residents to the highly affluent village of Brookville. 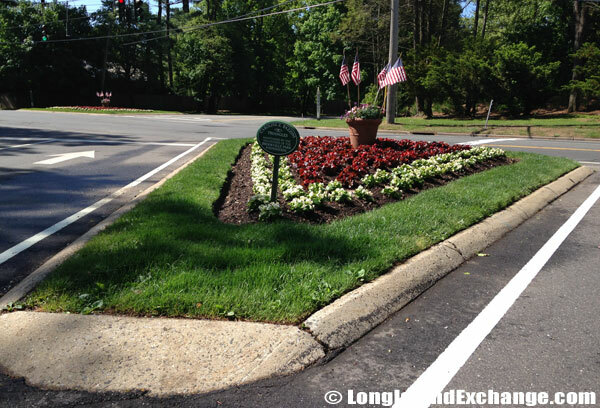 Landscaping along a triangle shaped center of road in Brookville. Horse Stables are common roadside views throughout the village of Brookville. Many residents of Brookville prove that it’s possible to work from home regularly. It is a nice place to visit since a larger share of the housing than in most places is for vacations and seasonal use. As a whole, property taxes tend toward the pricey side in Brookville but this corresponds to better schools and government services. 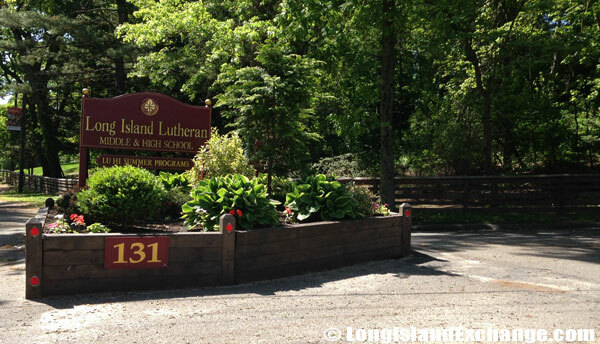 The Long Island Lutheran Middle & High School is located in Brookville, NY. This Christ-centered educational facility serves students in grades 6-12 as has been recognized as a “School of Excellence” by the U.S. Department of Education. A sign welcomes students and faculty to the Long Island Lutheran Middle & High School . 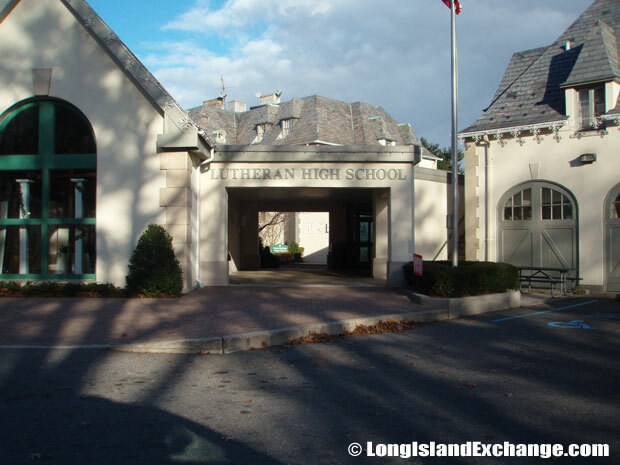 The popular Long Island Lutheran private school is also located in Brookville. The school serves students in grades 6-12 as has been recognized as a “School of Excellence” by the U.S. Department of Education. 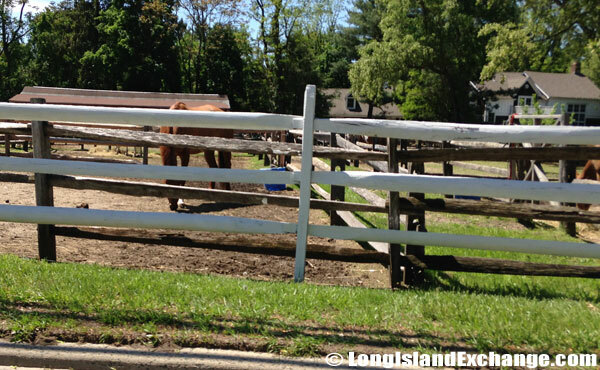 Nassau Equestrian Center is a full service, horse stable and equestrian facility in Jericho, NY bordering Brookville. 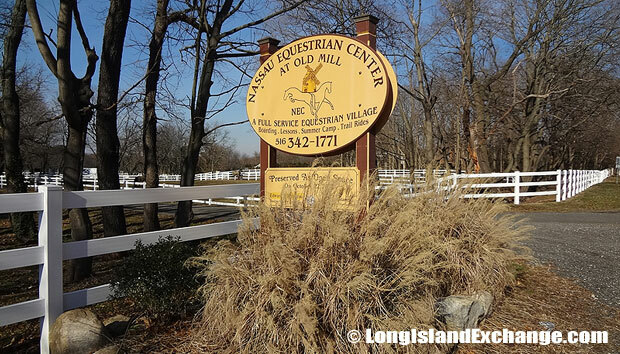 Nassau Equestrian Center was previously known as Old Mill Farm. Brookville has the best of both worlds for those who enjoy living in a bucolic North Shore setting while having quick access to shops, services, restaurants and major highways. Within the village, narrow winding roads are marked by white and green posts. 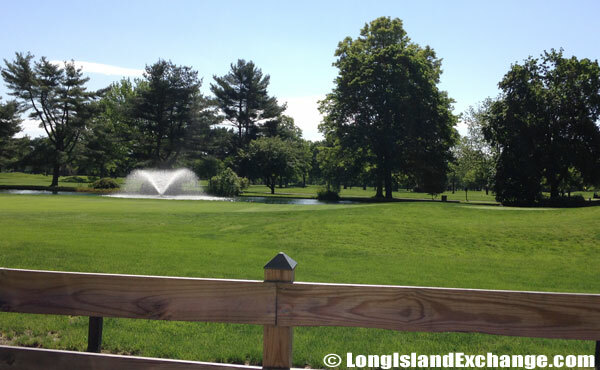 Two-acre zoning offers residents privacy and the property to lodge facilities such as built-in pools, tennis courts, gazebos, etc. The C.W. 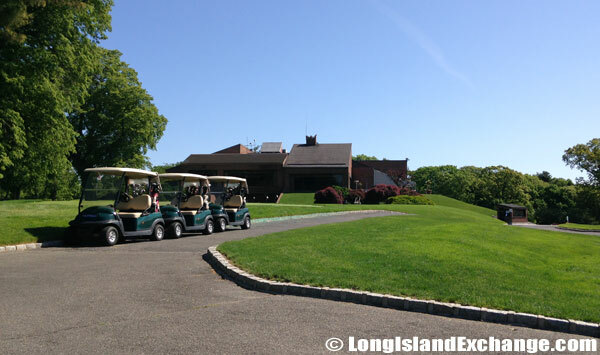 Post campus of Long Island University offers many cultural and recreational venues for the public. Brookville has a lot of historic sites and museums to offer. The Tilles Center for the Preforming Arts stages concerts and dance productions and the Hillwood Art Museum are examples that offer exhibits occasionally.